Material and Technique: Ink, opaque watercolor and gold on paper. Size: 21.5 x 15 cm. Kept in Harvard Art Museums/Arthur M. Sackler Museum, USA. 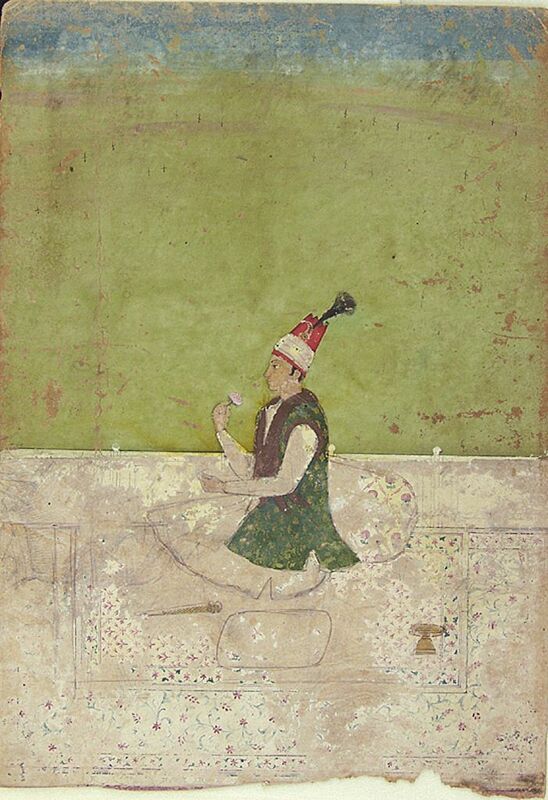 This painting shows a Persian prince in India. I am guessing that he is a member of Afsharid dynasty due to the form of his headgear.